At the Campaign for Better Transport’s AGM this Thursday 26th July, I won’t be seeking re election as Convenor. After sixteen years in the voluntary role, a lot has changed in the transport landscape in Auckland and I think it’s time for someone else to have a go at pushing the organisation forward. This isn’t to say there isn’t any more advocacy work to do – in fact it is vital that campaigns such as North Shore rail, Hamilton trains and airport rail continue. At our most recent Committee meeting, I’m glad the consensus was to continue to do just that. 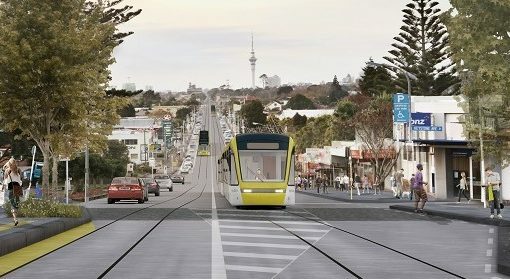 We need to keep building on the momentum we’ve gained in advocating for transport improvements such as electric trains, the CRL and integrated ticketing. We need to keep repeating what should be obvious – that we should have a choice when it comes to transport. That transport is about the efficient movement of people and freight. That trying to fight congestion by widening lanes is like fighting obesity by loosening your belt. That we need to effectively measure the benefits and the costs of proposed projects before funding them. So this week’s AGM will be my last. I’ll still be keeping an eye on transport developments in Auckland and helping out the CBT when and where I can, but I’ll also be moving on to do other things with my spare time too. Our AGM on Thursday should be a good one. We’ll look back on our achievements and also hear from Auckland Transport CEO Shane Ellison on what is planned for the future. I hope to see you there.